If you have an established signature in Gmail that you’re happy with, you don’t have to start from scratch. 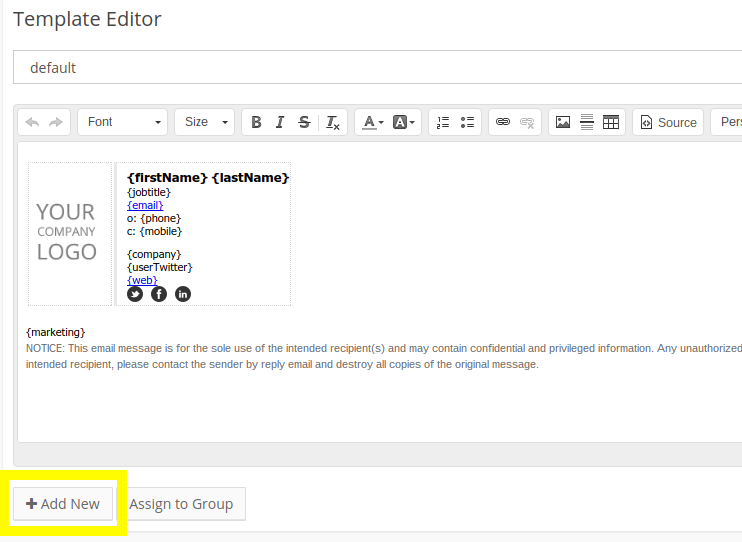 Open SignatureSatori and go to Signature templates settings. Now click Add new at the bottom of the screen. 3. Name your new template according to your preferences and choose the Empty template option below. 4. Now click Add template. After you have successfully started a new, empty template, it’s time to fill it in! 3. 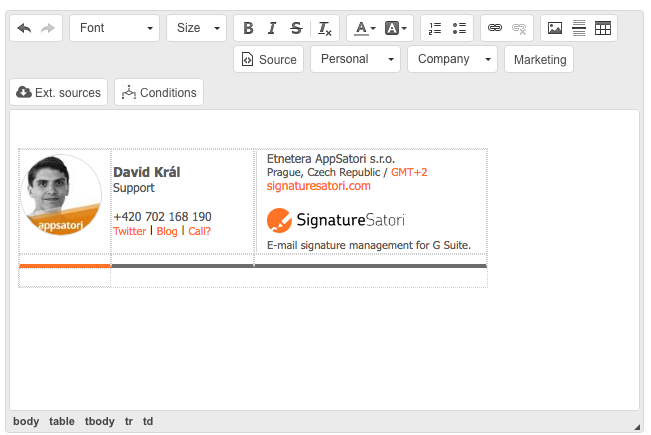 Now select it and copy it to the new empty template in SignatureSatori. Now you have prepared signature for yourself, but you probably want it to be widely applied. You will have to use variables (placeholders) to set name, phone, position etc. as a dynamic content that is different for every user.